I’m really going to miss you, Dad. Dad’s home! Dad’s home! Daddy’s home from his tour of duty! Paw-triotism in action. Thanks for everything you do, Zero and family! 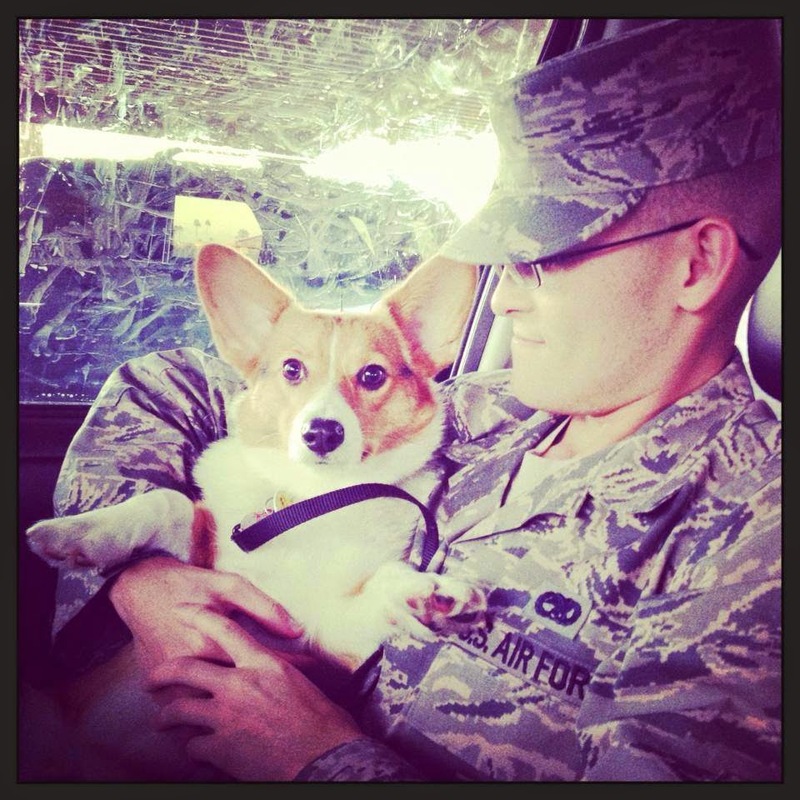 Are YOU a military family with a Corgi? 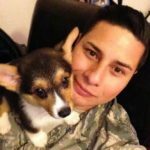 Would you like to have your photo considered for future Military Monday posts? 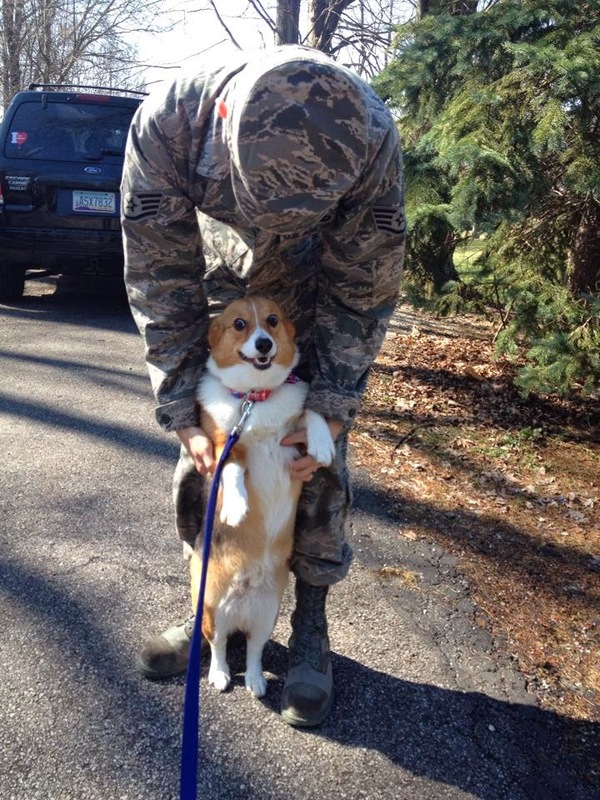 Please send them to thedailycorgi@gmail.com, with “military Monday” in the subject line. 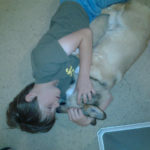 Photos should be clear and well lit, with the name of the dog(s) in the message. Should you wish to include the name(s) of the person(s) in the photo so that they can be identified by their first name, that’s fine. If not, just the dog’s name will suffice. No geographic location or further identifying information will be disclosed on the blog. 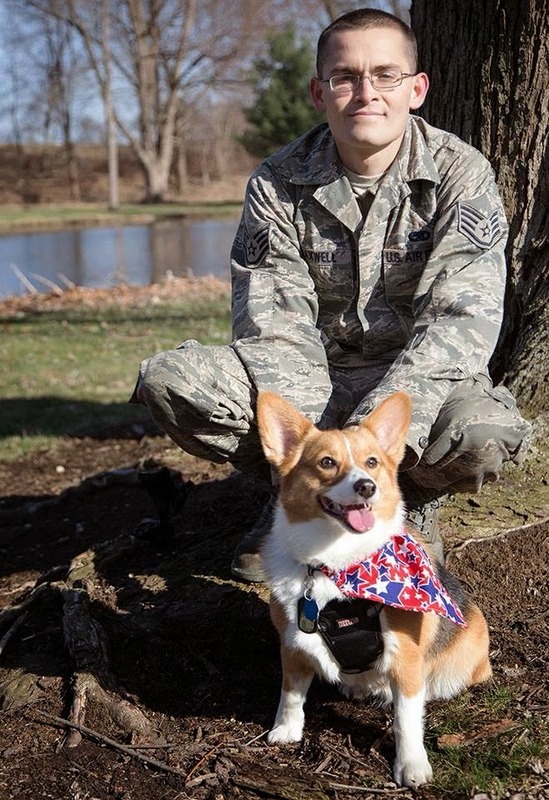 I look forward to seeing lots of paw-triotic Corgis and their family members in the armed forces, both active duty and retired! I will do my best to respond to all submissions. Very nice blog, Laurie. I look forward to more pics. This is a wonderful idea! I hope you get lots of submissions..